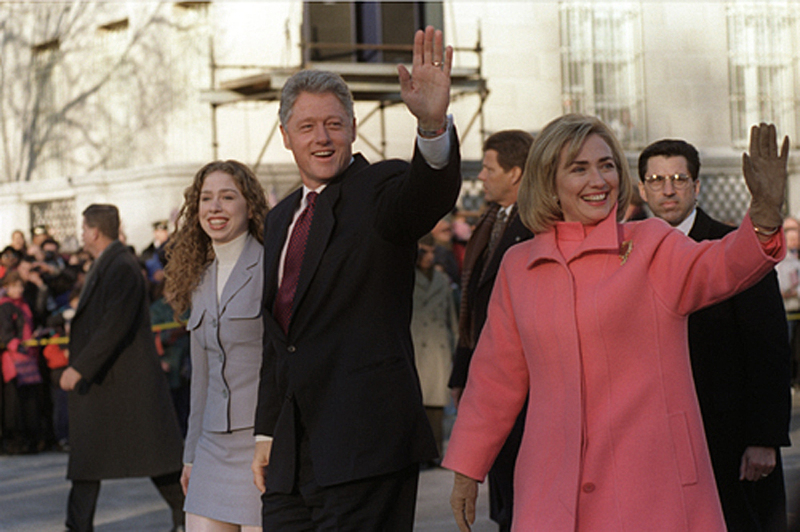 Much can, and has, been said about the Clintons since they first entered the political arena in 1974, but regardless of one’s politics or personal opinions, most would agree that they are one of the most famous power duos in American political history. From the number of “firsts” that they have checked off to their steadfast dedication to helping those less fortunate, it is impossible to deny the impact that they have had on American politics. Now that they are both retired from all official capacities as elected officials, they are focusing their attention on their respective foundations and organisations as well as travelling North America to reflect on their lifetime of work and share their views and opinions on the future of American politics. 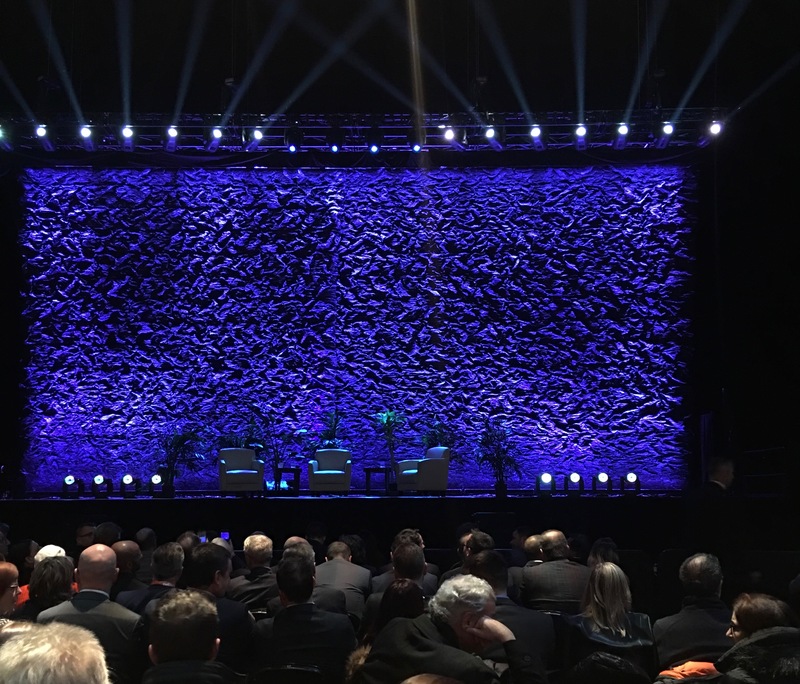 On November 28, they joined a couple hundred guests at the Bell Centre in Montreal in what was advertised as a “joint conversation” of “stories and inspiring anecdotes” of their time as public servants. The event, titled “An Evening with the Clintons”, seemed to suggest a certain informality, but the reality denoted the opposite. 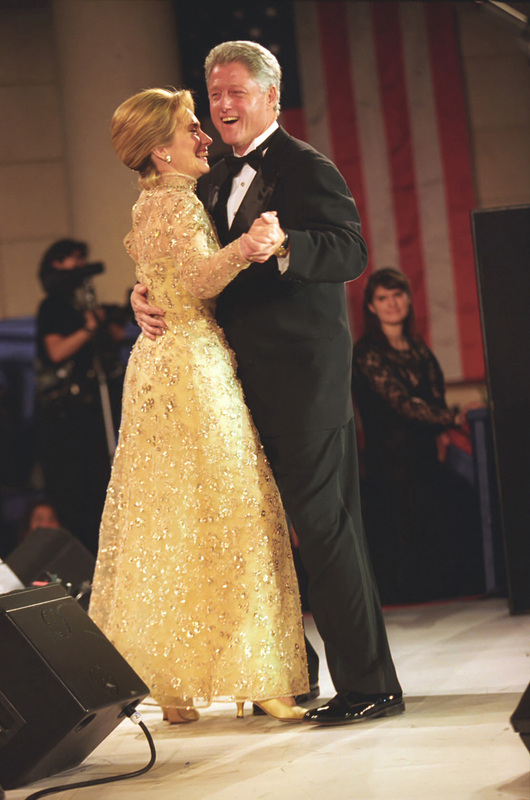 Propped up on a stage with a moderator, looking down at their audience, the Clintons yet again reminded us that they are part of America’s political elite – not to be talked to, but simply to look at, listen to, and admire. The venue prior to the Clinton’s arrival. Image by Allegra Mendelson. The conversation was moderated by Tanya Taylor, a McGill alumni and New York fashion designer, who had prepared a slew of questions that hardly diverted from the pair’s customary stump speeches. Unlike past events, there were no fancy introductions – the lights simply dimmed, a voice over the loud speaker announced the pair, and out they walked. The first questions prompted a reflection on their upbringings regarding the role that their mothers had played in shaping their political ambitions as well as their extensive careers as public servants. In discussing the latter, Secretary Clinton introduced a topic that would become a prevalent theme throughout the evening: the globalisation of “separatist tribalism.” This new “Clintonism” refers to the divisive compartmentalisation on the part of individuals who seek to reinforce an us-vs.-them mentality in the modern world. Although the blame for this dangerous partitioning was allotted to tech-friendly millennials, President Clinton conversely noted that it is these same younger generations who will be able to reverse and, later, rectify the problem. After several other generic questions on their favourite political adversaries and proudest moments, Taylor asked President Clinton about a powerful statement that he had made during the Rwandan Genocide in which he had said that “the world is divided according to how people believe they draw meaning from life.” While the question had intended to ask President Clinton on how he draws meaning from life, his response instead focused on the genocide itself. He offered a handful of stories of his time in Rwanda and discussed a number of touching interactions that he had had with individuals who had been affected by the genocide. Although the conversation could have then evolved into a discussion on more recent episodes of ethnic cleansing, such as the one currently unravelling against the Rohingya population in Myanmar, Taylor chose to instead turn the conversation back to a more personal note by asking Secretary Clinton about the “toughest decision” that she made while in office. 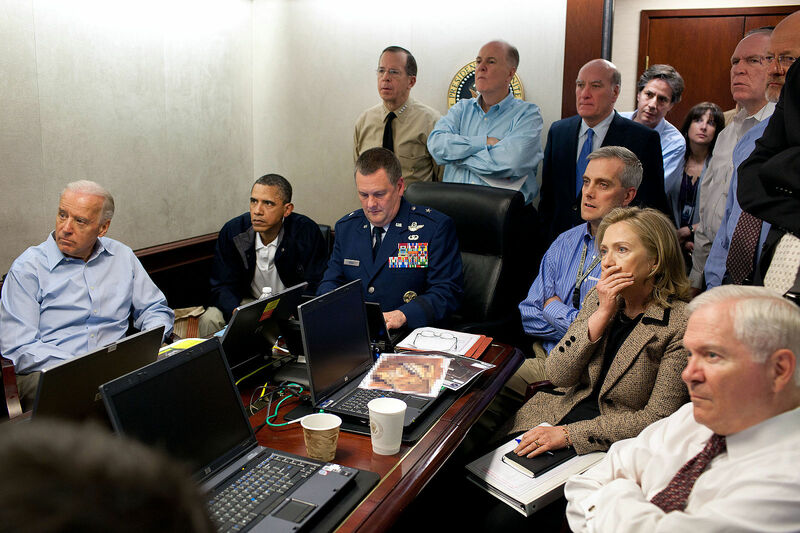 It was no surprise that, in her response, Secretary Clinton chose to discuss her role in the decision to kill Osama bin Laden, a decision that she invoked numerous times during her 2016 presidential campaign to exemplify her decisiveness and hawkish strength. The conversation then turned to a discussion on the bilateral relations between Canada and the US. President Clinton highlighted a number of Canadian policies that he admired, particularly the nation’s private sponsorship system in which families and individuals can sponsor immigrants and refugees rather than solely relying on government action. Again he invoked a reference to separatist tribalism and praised Canada for its contemporaneous ability to celebrate multiculturalism while also maintaining a strong and unified national identity. He explained that in the increasingly divided modern world, people forget that collaboration among different and diverse populations is the most effective way of developing solutions to global problems, such as climate change and unemployment. The next question prompted the pair to offer advice to younger generations on how to best address the aforementioned global crises. Secretary Clinton invoked her grandchildren as a basis for criticising the global response, or lack thereof, to climate change, and stated that it was “absolutely shameful” how little has been done to curb the effects of such a destructive and universal reality. She condemned the Trump administration’s refusal to listen to science and stressed that we – a collective, universal “we” – owe future generations a planet that is, in the very least, inhabitable and not plagued with natural disasters and a decimated ozone layer. President Clinton responded to the question from a far more economic and localised perspective by referencing the loss of jobs that has been brought about due to artificial intelligence (AI), robotics, and nano-technology. While he mostly discussed these factors in relation to the United States, his analysis seemed to imply that this, currently, Western phenomenon, could soon extend to all peoples and places. He also referenced the 2016 Presidential elections by noting that voters chose their candidates based on the economic prosperity of where they lived. Those who lived in more economically dynamic states voted for Secretary Clinton, while those who lived in more stagnant states, voted for Donald Trump. President Clinton seemed to make this distinction in an effort to demonstrate that a significant number of Americans are becoming discouraged by a profound lack of economic prospects due, in part, to an increase in robot automation. The night concluded with a light-hearted “rapid-fire” round of questions in which both President Clinton and Secretary Clinton were asked questions on memorable moments in their relationship. Secretary Clinton talked about her first impression upon meeting President Clinton in which she was struck by his “viking looking character.” In turn, President Clinton expressed that Secretary Clinton was “a force of nature with an intense stare that could have intimidated a buffalo.” This was followed by an exchange in which the two talked about who said “I love you first”, to which Secretary Clinton replied, “He did.” They then talked about their first date, the best gift that they had received from the other, their most memorable moments in the White House, and their nicknames for each other (President Clinton writes notes to Secretary Clinton in which he writes her name in short form as ‘Hiry” and Secretary Clinton occasionally calls him “Billy”). This portion of the conversation was definitely an audience favourite, as laughter followed almost every answer and phones were raised to record videos. In an effort to end on a more serious note, Taylor followed this moment of levity by asking the couple about what their next projects would entail. President Clinton mentioned addressing the opioid crisis, climate change, and middle-class unemployment, while Secretary Clinton focused her answer on getting more women and young people to become engaged in all levels of politics. 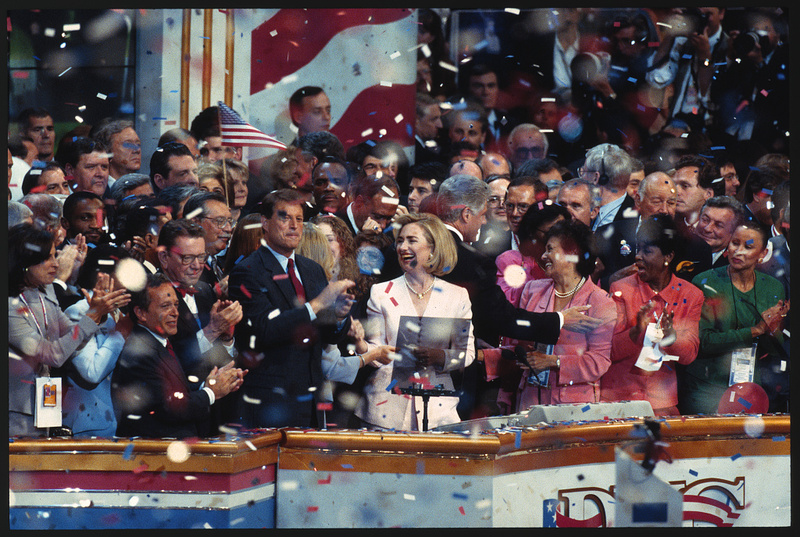 Overall, the event was not too dissimilar to past Clinton events. Any expectation that the pair may be more relaxed or at ease now that neither was running for office was quashed. Both seemed as protective and formal as ever, likely permanently stained by decades of political scrutiny and straitjacketing. For the first time in forty years, the Clintons are no longer at the epicentre of American politics; while a daunting thought to some and a reassuring thought to others, their collective role and influence in shaping and reforming the American political system as well as the lives of every American within it cannot be understated.